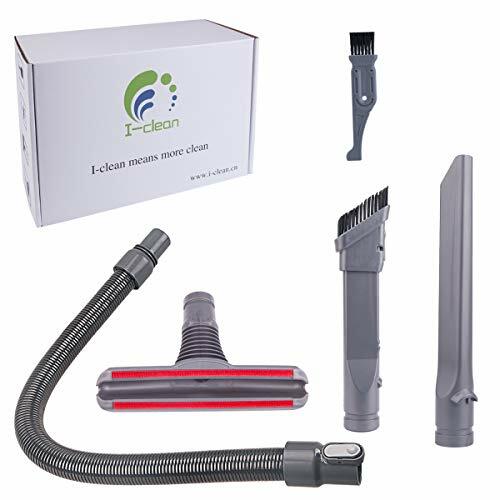 I-cean is a Professional vacuum cleaner accessories vendors, not only have a Professional manufacturer, as well as a Professional team. This is not a Dyson? original product and is not covered under any Dyson? warranty. The Dyson? brand name and logo are the registered trademark of the respective owner. Any use of the Dyson? brand name, model or part designation for this product is made solely for purposes of demonstrating compatibility. The dyson hose conventional state of about 29.5 in, the longest stretch to 78 in. its functions are connection and extension. You can use it to connect other dyson vacuum cleaner attachments. Keep your Dyson operating at peak performance! These vacuum cleaners are recommended that the replacement dyson crevice tools be washed every 2-3 months. And please remember After washing the filter, make sure it is fully dry before replacing it back into the vacuum.